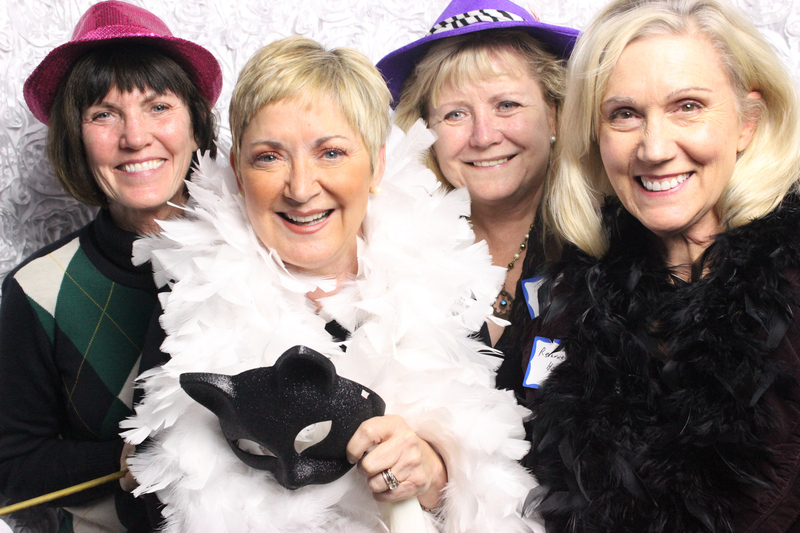 Photo booths can capture memories at any special occasion. A new trend is having a booth at a celebration of life ceremony. Photo booth rentals are extremely popular for weddings, birthdays and holiday parties. A new trend we are becoming familiar with is renting a photo booth for a memorial of an individual. This wonderful idea was given to us by a client that recently lost her mother. She stated that she and her mother loved photos and that she wanted a photo booth at her memorial gathering. Of course, we were honored to be a part of this celebration of life. It made sense to have photos of all family and friends that were present to memorialize our client's mother. We included a scrapbook with all of the photo strips and a special note left by each of her guests. We found the photo booth also helped keep the children entertained while adults mingled and offered their condolences. We bring plenty of props for children to wear and hold for their photos while our fun and friendly attendants direct them for optimal photos. When designing a photo strip for a memorial service, we will speak with you personally so we can capture the sentiment you wish to portray. We can use a photo or special word of comfort on each photo strip so guests have a special keepsake to take home and cherish. We also provide you with a password protected website so your guests can download the individual photos taken at your rental. They can leave comments, share and print photos to further the memories of your gathering. Photos can also be downloaded to smart phones and kept or shared via Facebook, Twitter and other social media sites at the touch of a button via our photo sharing app. If you are looking for a special way to commemorate a lost loved one, a photo booth may be just what you are looking for. One Touch can provide you with an enclosed or open booth with a backdrop, a memory book and unlimited prints of your family and friends all while leaving your guests with happy memories of your memorial gathering.